Soc Trang (VNA) – A delegation from the General Directorate of Energy under the Ministry of Industry and Trade, and the Global Green Growth Institute on August 30 held a working session with the Mekong Delta province of Soc Trang on the planning for biomass power development in the locality. Director of the provincial Department of Industry and Trade (DoIT) Vo Van Chieu briefed the delegates on the province’s socio-economic development, its real situation and potentials for biomass power development with the availability of sugarcane bagasse, rice husk, straw and wood. In 2016, the Soc Trang sugar plant produced 130,000 tonnes of sugarcane bagasse which was enough to supply for a local thermo power plant. The province’s rice output in 2016 reached 2.4 million tonnes, equivalent to 312,000 tonnes of husk per year. With 140,000 hectares of rice, each crop generates around 280,000 tonnes of straw. Soc Trang has nearly 11,360 hectares of forests, mainly cajuput, cypress, mangrove, nipa, in the districts of Long Phu, My Tu and Cu Lao Dung, and Vinh Chau town. Around 9,436 tonnes of wood are expected to be produced by natural forests, 8,150 tonnes from production forests, 3,786 tonnes of scattered planted forests, 17,000 tonnes from long-term industrial crops, and 33,000 tonnes of waste wood. The DoIT proposed to build a 20 MW husk-to-energy plants in Nga Nam town and another in Soc Trang city with a capacity of 10MW. 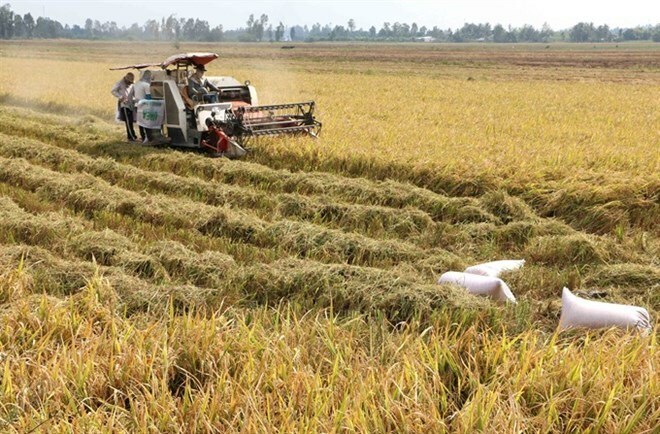 Straw-fueled power plants with capacity ranging from 5-10 MW are planned in Nga Nam town and Long Phu, My Tu and Tran De districts, while wood-fired energy plants will be built in Long Phu and My Tu districts, with capacity of between 5-10 MW. Local authorities asked the General Directorate of Energy and the Global Green Growth Institute to assist Soc Trang in mapping out a planning scheme for biomass power development, including solid waste-to-energy projects. The delegation introduced technical assistance of the Global Green Growth Institute, as well as the relevant legal framework and planning for biomass power development in the province. Addressing the event, Vice Chairman of the provincial People’s Committee Le Thanh Tri said together with wind and solar power, Soc Trang has paid due attention to developing biomass power to serve the province’s socio-economic development.